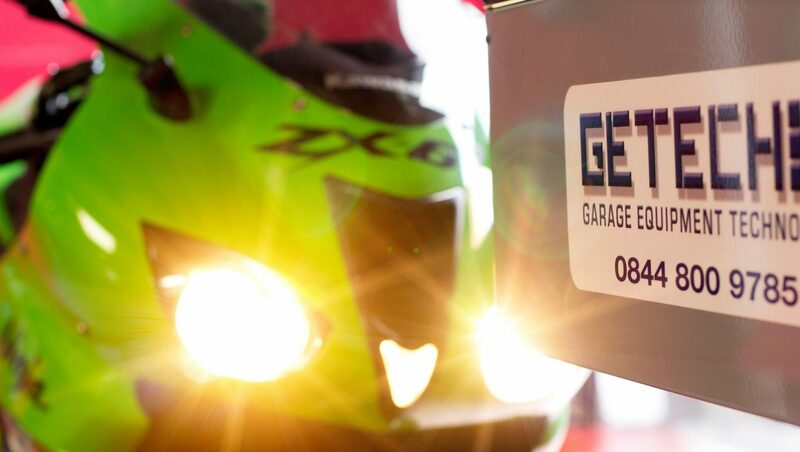 If you are seeking to test motorcycle brakes either following service / repair or as part of an MOT bay facility then the GETECH GE2 is surely the place to start (and finish) your search for suitable equipment. With an infra-red remote control systems as standard you can operate our brake tester safely and without fear of introducing a trip hazard to your workshop. The galvanised roller chassis has an integrated weighing system and it is also bi-directional meaning that if you were to install this brake tester at the minimum distance to a wall (600mm) and then a motorcycle with a sidecar presents itself – then it can be tested without resorting to using a brake meter decelerometer. Installation of a GE2 couldn’t be easier either. Simply rough cut a hole to the correct dimensions and the FREE integral floor frame covers up all finish in the hole and provides metal to metal contact between the frame and the weighing devices – this ensures the most accurate measurement and field reliability possible as the weighing devices cannot dig into the concrete floor and get bound-up causing inaccurate weight measurements to be made. With a digital display and FREE printer you can concentrate simply on running the test in a repeatable fashion before entering the measured test data straight from the brake tester report provided. For more information on the GETECH GE2 roller brake tester visit this page or call us on 0844 800 9785 during normal office hours.